There are other types of probate litigation that occur in Riverside County or San Bernardino County Probate Courts besides Will and trust contests. This type of litigation can involve pursuing the rights and the interests of a beneficiary or defending the actions of the executor or trustee. A beneficiary may want an accounting of the trust and cannot get it from the trustee. In such a situation, the beneficiary may petition the court to compel the trustee to account. A beneficiary may also feel that the trustee is not complying with the terms of the trust or that an executor is not property administering an estate. In that case, the beneficiary may petition the court for the removal of the trustee or executor. There may be disagreement between the trustee and beneficiary or between beneficiaries as to the meaning of a certain provision in a Will or trust document, in which case the trustee or beneficiary could petition the court for an interpretation of the Will or trust. The executor or trustee may wish to defend himself or herself against the allegations of a beneficiary that he or she is not properly administering the Will or trust. The executor or trustee may also need assistance in defending his or her accounting. Or he or she may wish to have representation to advocate for the trustee’s or executor’s interpretation of what is meant by a provision in the Will or trust. A trustee or beneficiary may wish to allege that certain assets not titled in the name of the trust are actually trust assets. This would require filing what is called an 850 petition or Heggstad petition along with proof that the trustor intended the property to be an asset of the trust or that someone has wrongfully obtained title to an asset that formerly belonged to the trust. This petition is common where the trustor neglected to transfer real estate or other assets to the trust or assets are mistakenly removed from the trust. An example of the latter is when a bank requires the title of the residence to be put back into the trustor’s name prior to refinancing the mortgage on the property. Because the title to the residence is in a person’s name rather than the trust at death, it would have to be probated unless the court will transfer title of the real estate back to the trust because of the 850 petition. Sometimes a Will or trust must be corrected because of a scrivener’s error or because of a change in circumstance or the law. For instance, a trust for a married couple might split into an A Trust and a B Trust after the death of the first spouse for estate tax savings. But because of the increase in the amount that can be passed free of estate tax these provisions are no longer needed. Or perhaps a beneficiary who was supposed to get an outright distribution has become disabled and is receiving government assistance and receipt of an outright inheritance would disqualify the beneficiary for receiving government assistance. In those cases, the trustee and the beneficiaries of the trust might join to file a petition to have the court reform or modify the trust to avoid having the trust split or the outright distribution. 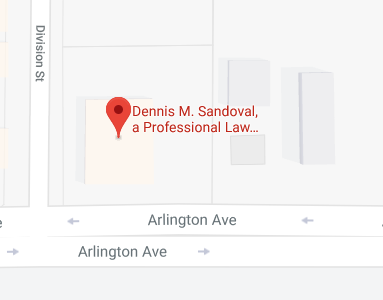 If you are a beneficiary, trustee or executor who anticipates the need for probate litigation, or who is already involved in probate litigation, call the Riverside probate litigation attorneys at Dennis M Sandoval, a Professional Law Corporation at 951-888-1460 or contact us online to get more information on how we can be of assistance to you.